The IRRATIONAL Choice to Attend Neighborhood Public Schools: Don’t Do It!! Let’s start from a point where we make an important assumption about parental actions in urban areas like Philadelphia, PA, Camden, NJ, Newark, NJ, Baltimore, MD, Chicago, IL and Detroit, MI. The assumption is so widely held among Black Americans that it is seldom discussed explicitly. The assumption is that Black parents want their children to learn. I assume that Black parents want their children to receive a first rate education. This, I believe to be fundamentally true. It’s deeply ingrained as direct result of the Black American experience. Black Americans innately understand that access to a quality education is of paramount importance. Throughout the overwhelming majority of American history, whites in power have worked diligently to deny Blacks access to high quality educational opportunities. Indeed, a stated aim of the government was to violently impose ignorance on Black Americans. The following is the verbatim “Act Passed by the General Assembly of the State of North Carolina at the Session of 1830—1831” (Raleigh: 1831). Therefore, Be it enacted by the General Assembly of the State of North Carolina, and it is hereby enacted by the authority of the same, That any free person, who shall hereafter teach, or attempt to teach, any slave within the State to read or write, the use of figures excepted, or shall give or sell to such slave or slaves any books or pamphlets, shall be liable to indictment in any court of record in this State having jurisdiction thereof, and upon conviction, shall, at the discretion of the court, if a white man or woman, be fined not less than one hundred dollars, nor more than two hundred dollars, or imprisoned; and if a free person of color, shall be fined, imprisoned, or whipped, at the discretion of the court, not exceeding thirty nine lashes, nor less than twenty lashes. II. Be it further enacted, That if any slave shall hereafter teach, or attempt to teach, any other slave to read or write, the use of figures excepted, he or she may be carried before any justice of the peace, and on conviction thereof, shall be sentenced to receive thirty nine lashes on his or her bare back. III. Be it further enacted, That the judges of the Superior Courts and the justices of the County Courts shall give this act in charge to the grand juries of their respective counties. Similar laws were in place across the United States. From the early 1700‘s through the Civil War, white Americans feared that black literacy would prove a threat to the prevailing social order which featured a barbaric chattel slave system. The peculiar institution relied on ensuring that enslaved Blacks remained dependent upon white masters. Whites in colonies and subsequent slave states instituted laws forbidding slaves to learn to read or write and making it a crime for others to teach them. 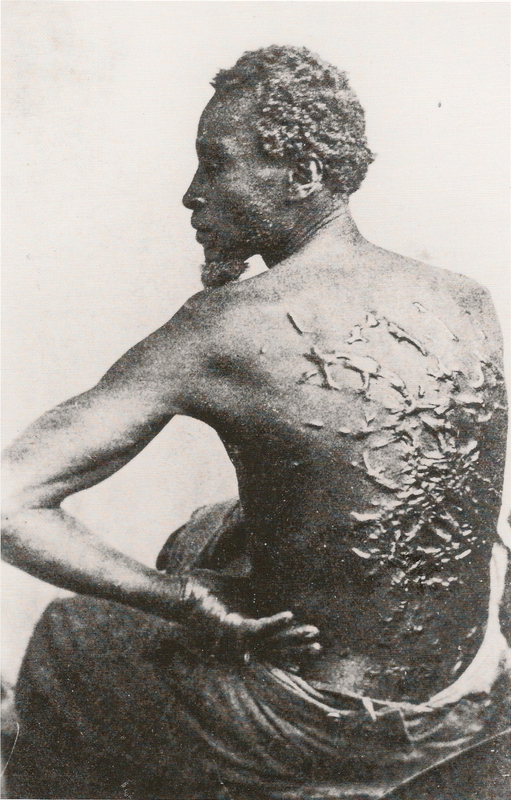 In most states, whites were substantially fined and Blacks were subjected to 30-40 lashes on his or her bare back for teaching Black Americans how to read or write. Following the Civil War, whites established an Apartheid-like system of Jim Crow schools designed to ensure that Blacks were not adequately educated. This system remained entrenched through the 1960’s and 1970’s in many parts of the country. Schools for white children received more public money. Fewer Blacks were enrolled in school. 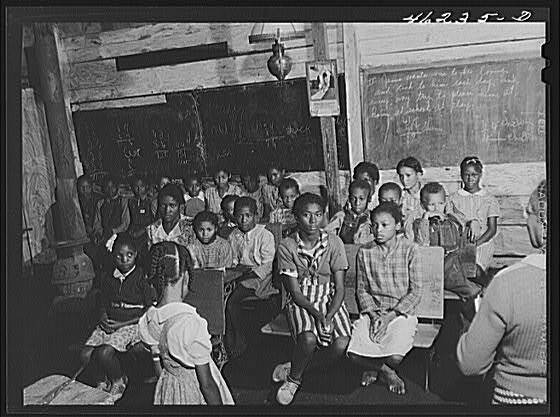 There were not as many public schools available for Blacks. 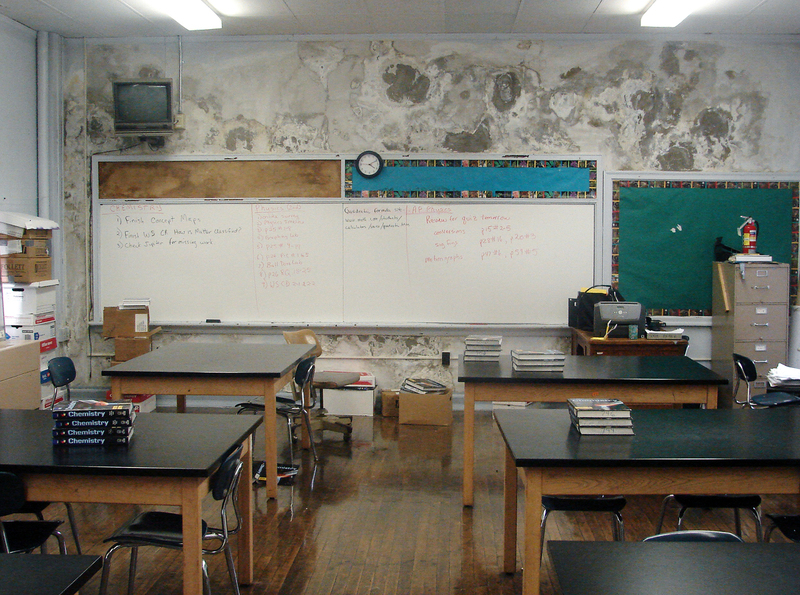 Many school buildings for African Americans had leaking roofs, sagging floors, and windows without glass. They ranged from untidy to positively filthy, according to a study issued in 1917. If black children had any books at all, they were hand-me-downs from white schools. Even if they are unaware of the specific details of the struggle to access to education in America, Black parents know that it is extremely important. Black parents know that for centuries, real educational opportunities were routinely denied to Black children. Black parents, like all parents, want better for their children. When you talk to them they express preference orderings. They want access to good schools. They want to avoid bad schools. So… How do parents in urban areas send their kids to neighborhood public schools? It just doesn’t make sense… As noted earlier, Black parents in today’s urban settings have very real choices… They must be unaware of the options available to them. Their decisions to enroll their children in neighborhood public schools MUST be based on limited and uncertain information regarding alternative educational placements. The Black Cager is dedicated to providing information in an accessible and easily understood manner to Black parents, grandparents and other caregivers. First, they cut the funding. Then they watched the district suffocate as a result. In June of 2013 Philadelphia Superintendent William R. Hite Jr. laid off 3,783 employees, because of the district’s financial crisis. The list included 676 teachers, 283 counselors, 127 assistant principals, and 1,202 noontime aides. “These … employees are more than numbers: these are people — professionals — who play important roles in the lives of thousands of students throughout our city,” Hite said at a news briefing. Two years later, the catastrophe has been realized. Approximately, 83 percent of Philadelphia public school students in grades 3-8 failed the state Pennsylvania System of School Assessment (PSSA) exam in math. In reading, 68 percent failed and 63 percent failed the science exam. Apologists will cite the “new” version of the test as the main factor explaining the horrific performance. It can explain some of the increase in the number of failing students. 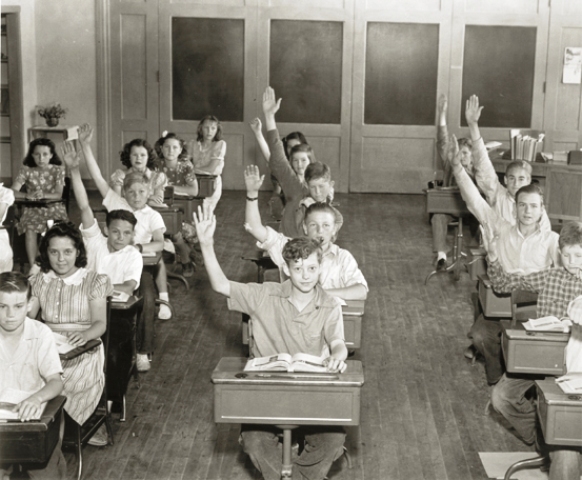 However, a majority of Philadelphia public school student failed the old test as well. 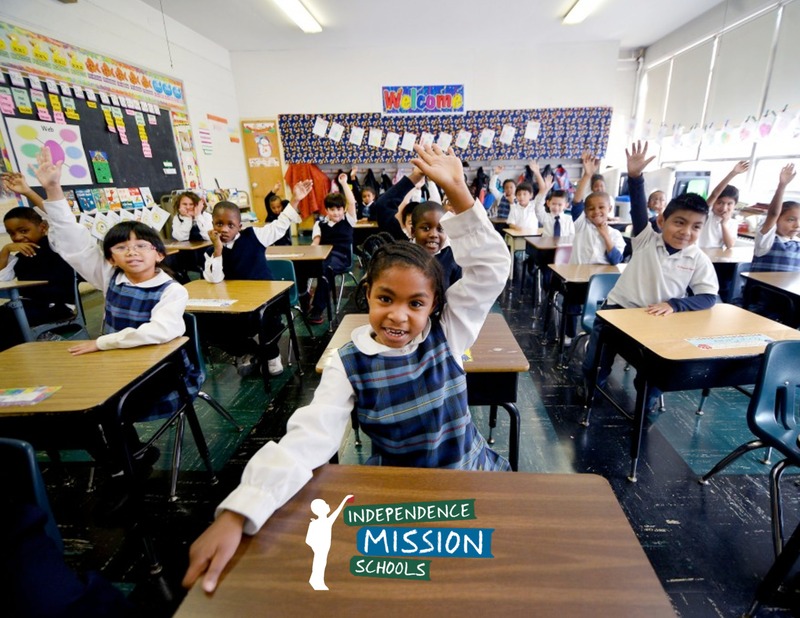 The fact remains, for years an overwhelming majority of Philadelphia’s public school students have been performing abysmally on standardized state assessments. One can only conclude that, for the most part, students attending neighborhood public schools are simply incapable of competing with students in surrounding suburban public schools and Philadelphia area private schools. More than 8 out of 10 students cannot perform grade level math! The bill for years of academic incompetence and startling underperformance is about to come due. Philadelphia students will be the ones that have to pay. 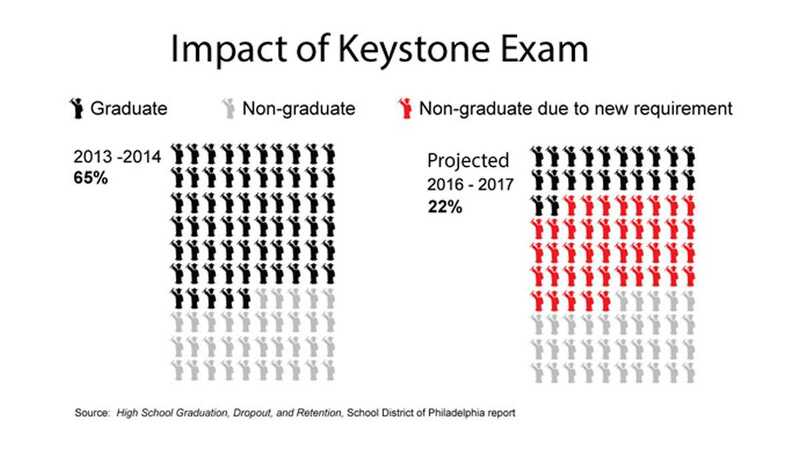 The School District of Philadelphia also released results on the state’s Keystone Exams, which students must pass to graduate starting with the Class of 2017. The proficiency rate in Algebra I was 38 percent (compared to 39 percent in 2014), 29 percent in biology (26 percent in 2014) and 49 percent in literature (52 percent in 2014). Plainly stated, if the 2017 rules were in place in 2014, 71% of Philadelphia’s public high school students would not have been unable to graduate from high school because the failed the biology exam, 62% would have been held back by their Algebra I score and 51% by the literature score. If at all possible, do NOT send your kids to poor performing neighborhood public schools. They are educational quicksand!! If you must rely on public education, do your research. Find out about magnet programs, identify high performing schools, learn about the application and admission processes. Make the best decision for YOUR child. We can all continue to support the idea of public education. We can vote for political candidates that allocate adequate resources to public schools. We can volunteer in our local schools.